Hraundrangi is a 1075 meter highest top on Mount Drangafjall in Öxnadalur valley. For many years people thought it was impossible to climb, but on August 5th 1956 two Icelanders and an American reached the summit. Posted on Thursday, March 3rd, 2011 at 22:36. 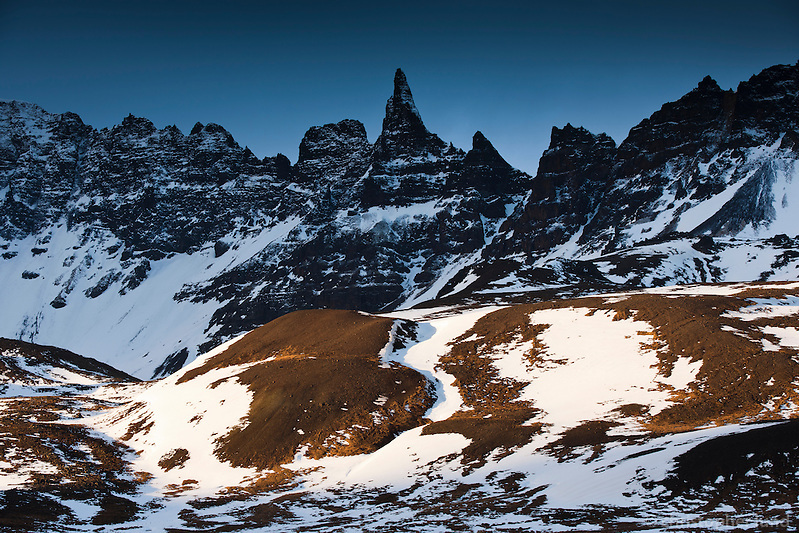 Filed under: Locations, North Iceland	RSS 2.0 feed.